Here it comes again… those pesky late night cravings! You know the ones. Your thoughts quickly get crowded with temptation. Chocolate bars, ice cream and cheesecake. YES, cheesecake, you have to have a piece! One too many late night indulgences can start to weigh heavily on your mind. 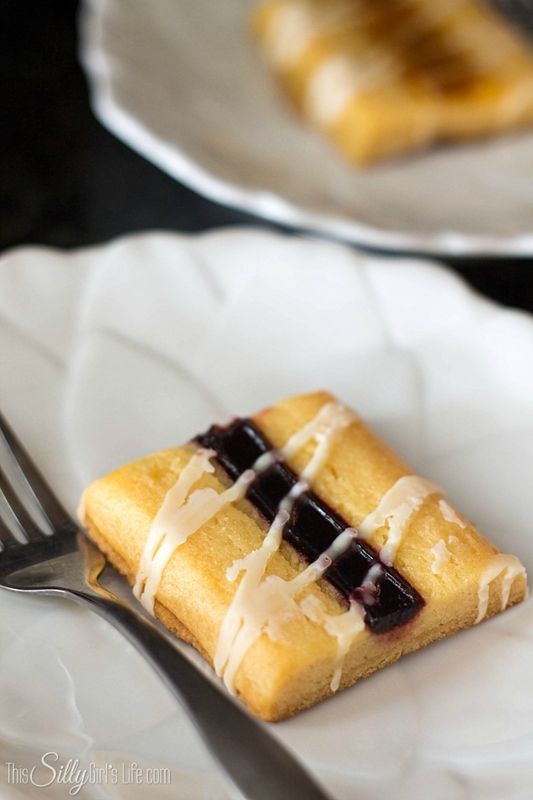 I know it does when I have one of those amazing blog posts just laying around, waiting to be devoured! But, now I have been snacking smarter. 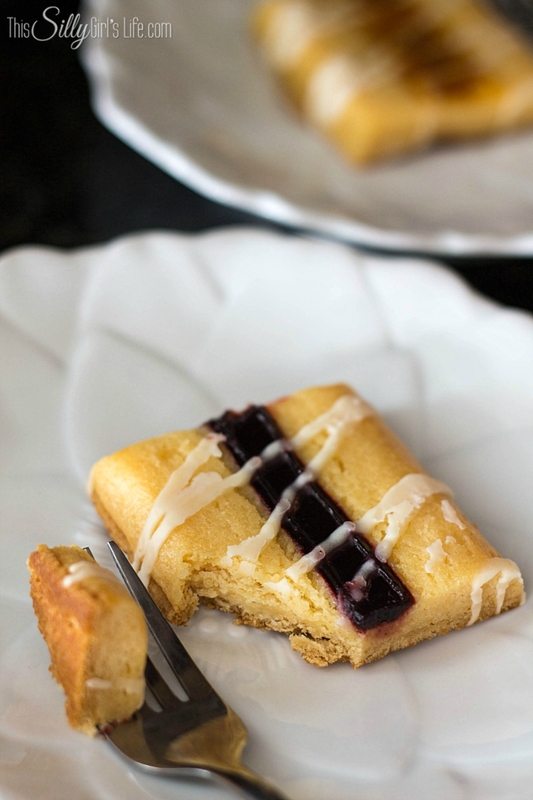 No more super late night slices of cheesecake, now I have them in bar form! 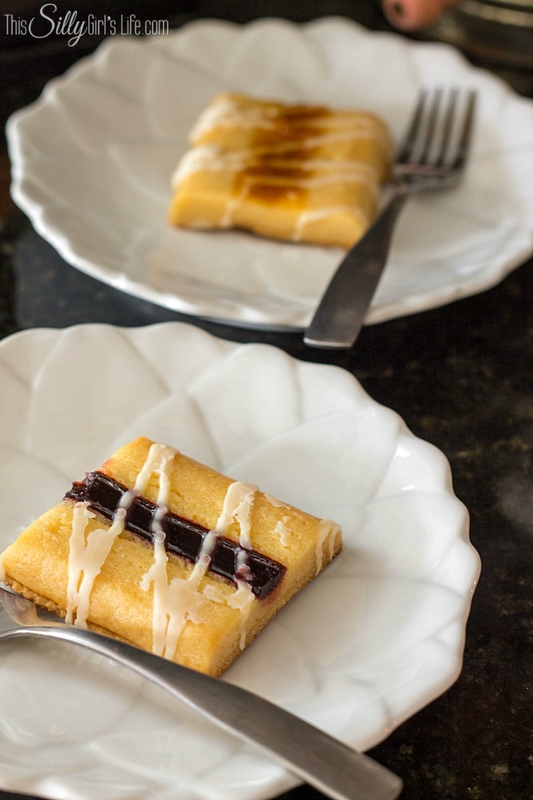 New Fiber One Cheesecake Bars are rich and decadent with that cheesecake flavor I love. They come in two flavors, strawberry and salted caramel. Personally, I like the strawberry version the best. 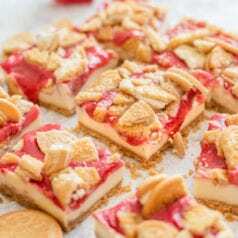 They are just the right amount of sweet with a chewy cheesecake layer and graham cracker crust! I have been having one at night when my craving hits. I’m normally watching a movie with Jeremy or just winding down from the day. The best part is, other than being extremely convenient, is they are easy on the waist line too! One bar is just 150 calories, 6 grams of fat with 5 grams of fiber. That’s 20% of our daily value of fiber in a delicious guilt free treat! If you’re like me, I can always use my fiber in my diet. 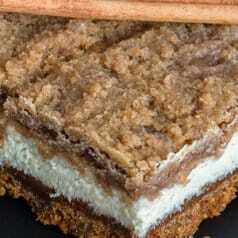 What better way to get that than in a yummy cheesecake bar?! Now available nationwide, you can find them at your local major grocery and retail stores. 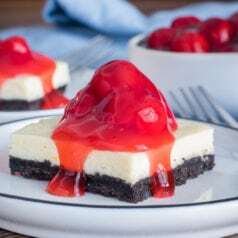 Did you know July 30th was National Cheesecake Day?? Why leave to just one day when you can have a whole month of decadent cheesecake?! That’s exactly what Fiber One was thinking! 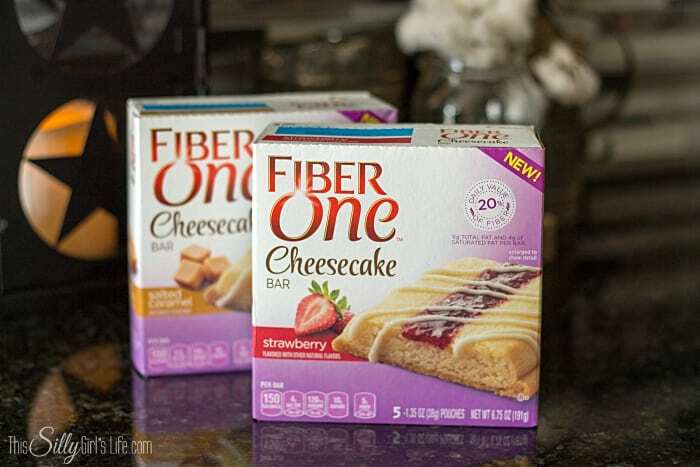 Fiber One Cheesecake Appreciation Month from from July 30th to August 31st. After you try and love these Fiber One Cheesecake Bars (I know you will, trust me. ), share the love! 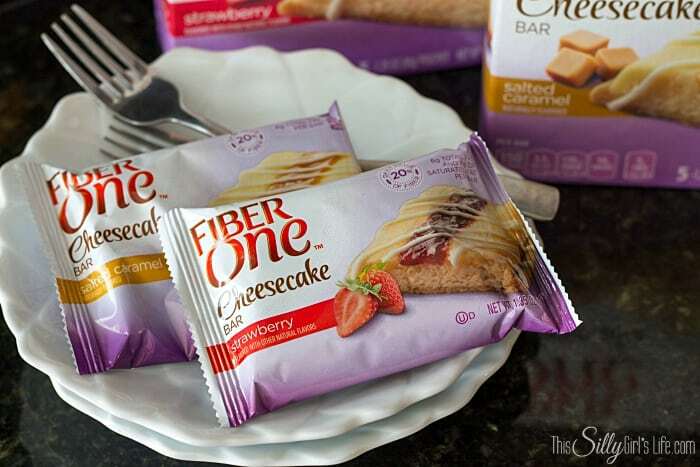 Help celebrate Fiber One Cheesecake Appreciation Month by tagging Fiber One at @FiberOne on social media and using the hashtags #FiberOneCheesecake and #FiberOne #Cheesecake . 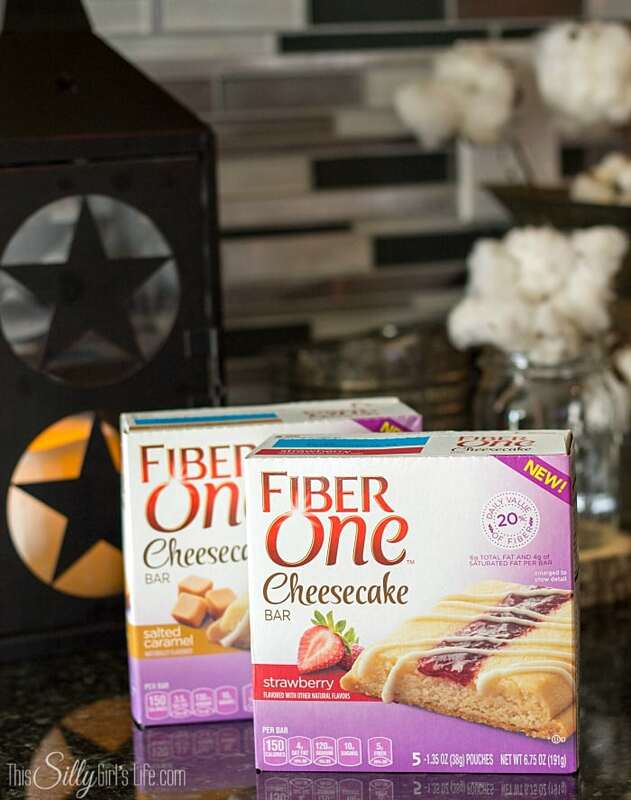 To really get in on the action, going in on Fiber One’s Facebook page Fiber One Cheesecake Appreciation Month Sweepstakes and enter their month long sweepstakes! There will be 1-2 winners per day plus one grand prize winner! Good luck! These taste like crumbled cardboard~ BLECH~ with artificial flavorings on top of it. Another example of FAKE FOOD- read the ingredients NOTHING but chemicals. What good is having FIBER after eating CHEMICALS?????? ?